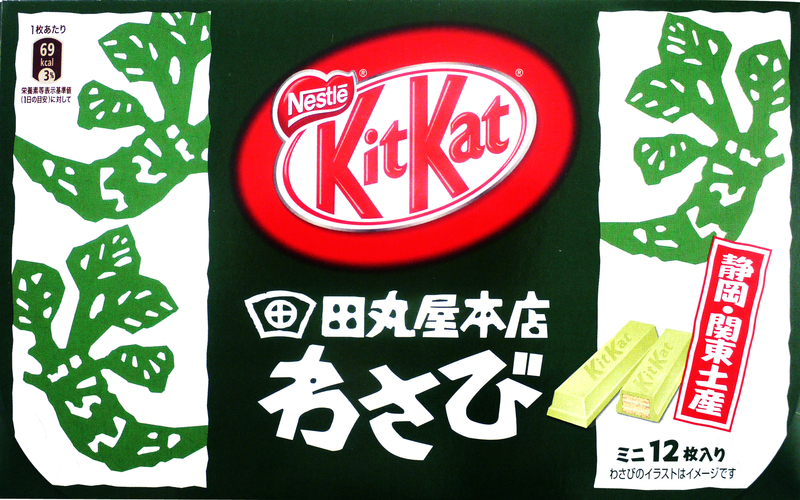 This flavour begins classically KitKat sweet before matcha green tea bitterness begins to steadily burst in the mouth, shortly followed by the subtle creaminess of chocolate. 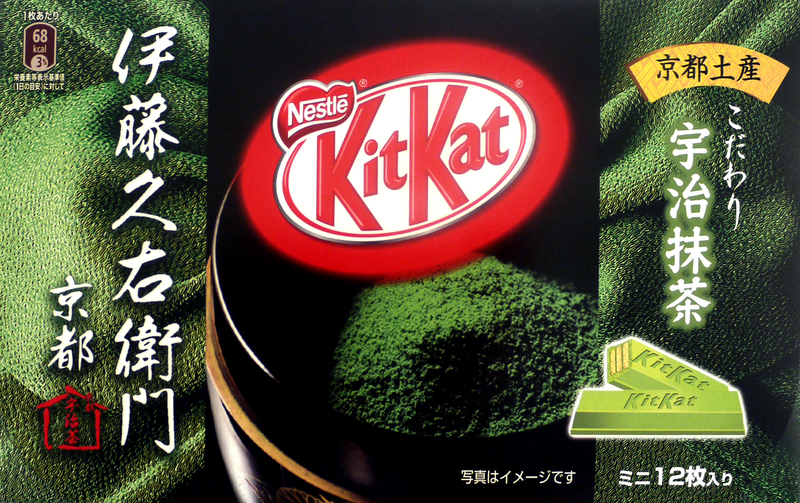 Leaving a rich, defined green tea aftertaste this matcha green tea KitKat is perfect for the traditional and refined lady or sir. 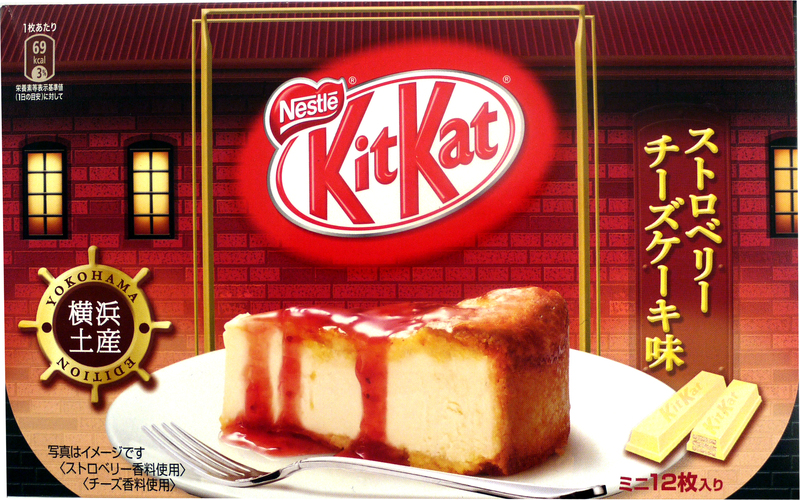 Like something out of a dainty patisserie, this Strawberry Cheesecake flavoured KitKat is sweeter than your average KitKat and full of fruity strawberry and cheese overtones that combine to create a wonderfully whole dessert when bitten. With a somewhat exotic and spicy flavour we would expect Wasabi Horseradish KitKat to be a touch more fiery but the chaps at Nestle have got it just right. The heat of the wasabi is quelled by the sweeter white chocolate that blankets the wafer biscuit inside for a nicely smooth and balanced flavour. 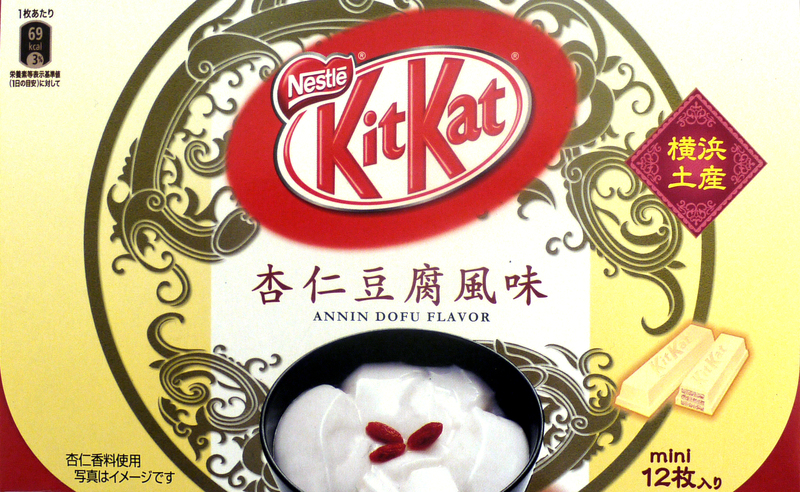 Originally a traditional Chinese dessert, this KitKat has a delightfully sweet, yet slightly fruity flavour that reminds us of good old Battenberg Cake or Bakewell Tart. Though you may think that tofu doesn’t taste of anything the apricot rather than almond flavours really make this sumptuous sweet pop in your mouth for a surprisingly sweet and delectable flavour. Of course at Japan Centre we know it would be cruel to force you to choose just one type of KitKat so we’ve not only Gift Boxes and single bars, but also an assorted pack of all 4 flavours available online. Remember, these lovelies are in limited stock and we expect a big rush so get them whilst you can! Posted in Uncategorized and tagged limited edition. Bookmark the permalink. When are you guys getting these back in?? Wow are they really already gone? And They’re already out of stock? I didn’t make it in time..